Mark Zuckerberg is probably the hottest thing since sliced bread right now. We all love Facebook’s CEO Mark Zuckerberg. Well, at least I know that I do and most people around my age are in awe of him and want to be like him. The thing that is even more fascinating about him is his very casual style and way of addressing the media and public at large. 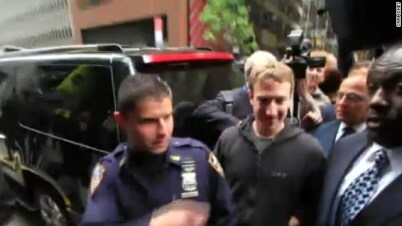 The recent episode that has Zuckerberg getting heat from Wall Street is how he came to a meeting with potential investors wearing a hoodie. I guess if your company is going to be in a smash hit stock offering soon you and I would do the same thing as well. We already know how these tech billionaires really do not care and are pretty eccentric. You’re busy. You don’t have time to click on every crazy link or salacious picture that your friends post on Facebook. But then, it’ll be six months down the line, and probably those same tech-obsessed friends will ask you, isn’t the reference I’m making about an Internet meme from six months ago absolutely hilarious? You’ll have to look back at him blankly because, of course, you never clicked the link. SlideShare should prove to be a great acquisition for LinkedIn. LinkedIn will be using 45 percent cash and 55 percent stock to buy SlideShare for $119 million. The acquisition makes good business sense for LinkedIn because SlideShare is a great app that enables users to upload documents online and this is great for presentations. It will be a great addition to a LinkedIn profile as professionals can make use of SlideShare to share the knowledge and experiences that they have had. This actually adds tremendous value and keeps with what LinkedIn offers as a business to its users. Venrock which served as the institutional investor for SlideShare has had a return of 15X and it has worked out great for the founders of SlideShare as well.